What are the Different Types of Rotator Cuff Repair? Rotator cuff repair surgery is used to repair a torn shoulder tendon or muscle, or to repair a group of tendons and muscles. This procedure is done with a large open incision, or through a buttonhole-sized incision via shoulder arthroscopy. The rotator cuff is a group of muscles and tendons that form a cup over the shoulder joint. These structures hold the arm bone (humerus) in the glenoid joint (shoulder area). One or more of the tendons and muscles can be torn from trauma or overuse. 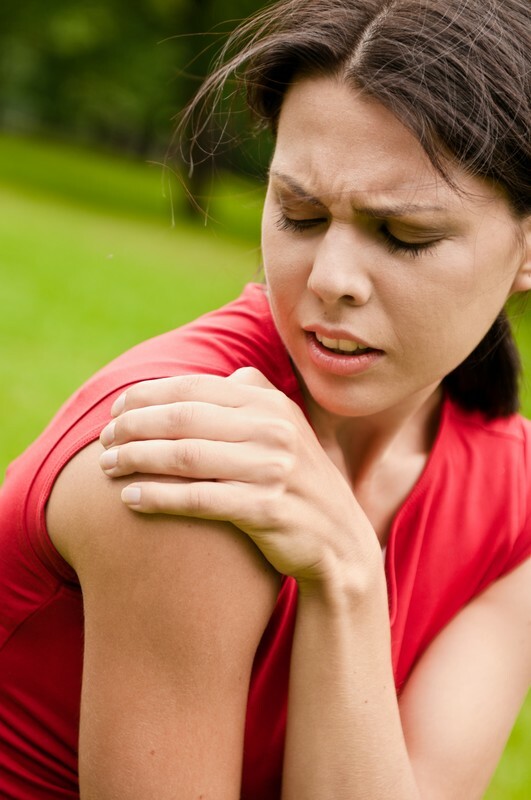 In a recent study, researchers evaluated rotator cuff tendinopathy. They found that the annual prevalence was 1-7%, and some evidence suggested that the incidence increased with age. You will receive general anesthesia before the rotator cuff surgery. You will be asleep and have no pain. After surgery, you will be given pain medicine to alleviate discomfort. What procedures are used to repair a torn rotator cuff tendon? repair. This procedure is used for large or complex tears. Arthroscopy – With this procedure, a small incision is made, and a scope is inserted into the joint. The camera projects images on to a TV monitor, so the doctor can use tiny instruments to make repairs. 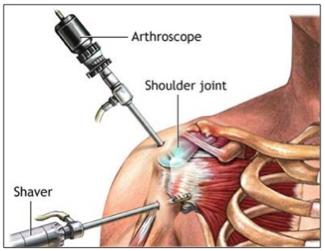 Mini-open repair – This procedure involves using an arthroscope and a couple of small incisions to repair the rotator cuff. How is the rotator cuff repaired? 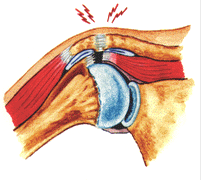 To repair the rotator cuff, the tendons are re-attached to the bone if possible. This is done using small rivets (suture anchors) that hold the tendon in place. These are made of metal, or they can be made with dissolvable materials. At the end of surgery, the incisions are closed and a dressing is applied. What can I expect before the rotator cuff repair surgery? After the doctor diagnoses a rotator cuff tear, you meet with the orthopedic surgeon to discuss surgery. Two weeks before the procedure, you must stop taking any medicine that thins the blood (aspirin, ibuprofen, and naproxen). Be sure to discuss all allergies and medications with the doctor. You cannot eat or drink for 8 hours before your surgery, and should leave all valuables at home the day of surgery. What can I expect after the rotator cuff repair procedure? You will wake up from sedation or anesthesia with a bulking bandage on your shoulder, your arm in a sling, and an immobilizer on your arm. This is to protect the shoulder while it heals. Most patients are discharged home the day of surgery. Recovery may take up to six months, and you will wear the sling for 4-6 weeks. The doctor gives you medications for pain, and you will follow-up with a physical therapist who helps improve strength and function in the shoulder joint. What is the prognosis after the rotator cuff repair surgery? Dr. Adam Farber is the Board Certified, Fellowship Trained shoulder specialist at Phoenix Shoulder and Knee. Arthroscopic and mini-open repairs are offered with outcomes that are second to none. Most insurance is accepted at the practice, call today! 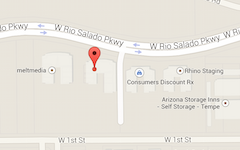 Littlewood C, May S, & Walters S (2013). Epidemiology of rotator cuff tendinopathy: a systematic review. Shoulder & Elbow, DOI: 10.1111/sae.12028.